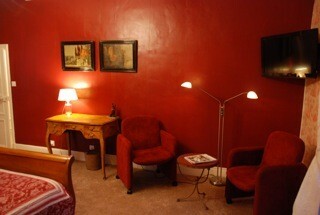 We have got five characteric bedrooms ,a dining room, breakfast room and a lounge for our guests. Before dinner you can enjoy the fireplace in our lounge,where drinks are served.The lounge is also a enjoyable place for conversations,playing bridgfe,wathing television and whatever you like to do. In our garden you can pick fruit from our numerous fruit trees and eat it or meet the sheeps who help us with meadow maintenance. We have a jeu de boules court and a tennistable. 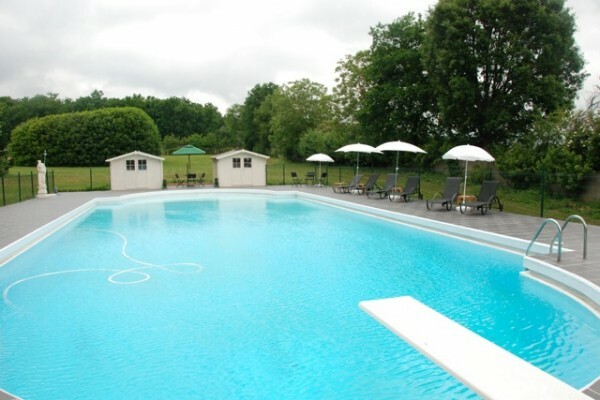 Our swimming is 22x10 metres, a playground for children. We grow our own vegetables and fruit organically. In the summer we serve breakfast and dinner outside. Every day your host is preparing a dinner.Come and experience the beautyful environment and the calm atmosphere of this historical place. Please inform us of any special request. Suite consisting of 2 rooms, 1 grand lit 160x200, 2 twin beds 180x200,bathr. with bath, separate shower,washstand and private wc. Airconditioning, your own entrance and balcony. No experiences yet with Chateau de Jalnay. Be the first! Did you stay in Chateau de Jalnay? Let us know what you thought about it and help others to make the right choice! 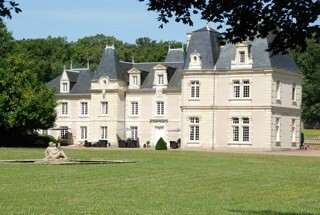 * I confirm having stayed in Chateau de Jalnay. 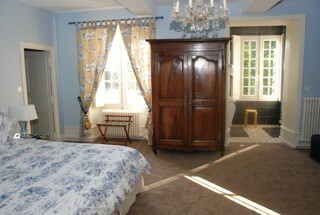 Find other bed & breakfasts in Glénouze or all bed & breakfasts in Poitou-Charentes.